Harrington’s work has been displayed in a number of galleries and museums throughout the West and can be found in public and private collections. 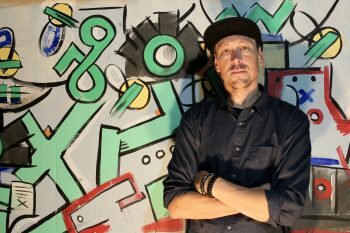 He did a memorable Kayo Gallery window installation titled “Plugged In” featuring children watching stacked-up video screens in 2010 and, in 2016, created both “The Writing on the Wall,” a window installation for Urban Arts Gallery, and several 3-D wall murals for Traeger Grills’ Headquarters. Influences ranging from pop, folk to urban find their way into each creation, he says. This artist is continually exploring and experimenting “to satisfy an ever-growing need to create.” With work ranging from commentary to basic design, he says there is always something new to discover. In 2018, he will be developing his recently established LLC – ASTRAY ART. “I plan to expand on my line of street wear including T-shirts and hats. I will also be adding a few more festival dates to my calendar to promote my artwork,” says Harrington, who also has a few projects with design firms in the works to create custom artwork for Utah residences. He is anticipating a busy year. 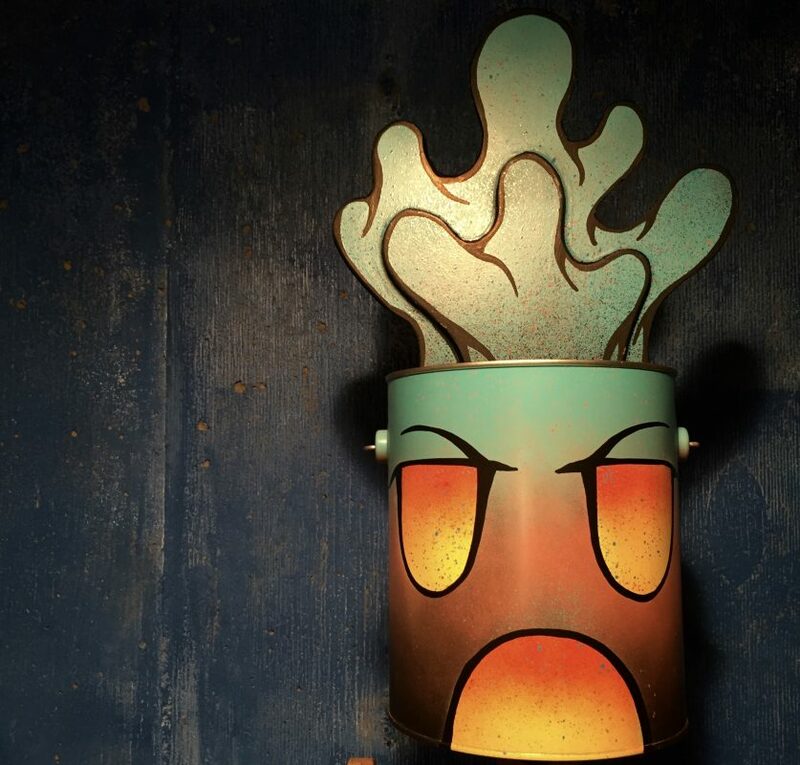 “BUCKET HEAD,” Repurposed paint can with hand-shaped foam painted with acrylic and enamel.